EDUCATION FORUM: From 5:30 - 8:00 p.m. with 30 minute Meet & Mingle. The Education Forum is open to the public and intended for community members/leaders, parents, and all stakeholders interested in the education of our students. Students are encouraged to attend this event if they are unable to attend the Student Summit earlier in the day, as the student summit will participate in the Forum that evening. 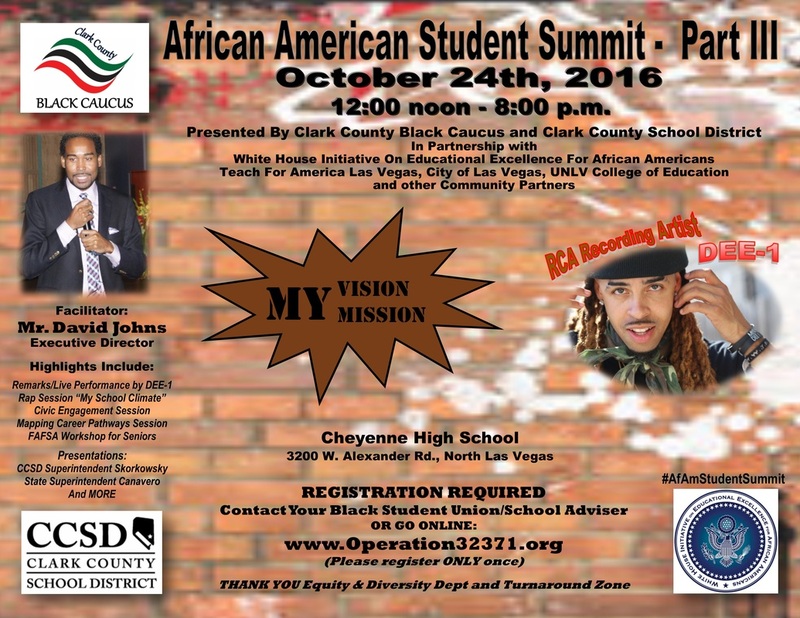 Registration is NOT REQUIRED for the Education Forum, however students wishing to participate in the Student Summit earlier in the day should register above at the student summit registration link. Students may leave with parents after the Forum. Thank You.